Google is arguably the most powerful search engine on the planet. While Bing, Yahoo and other search engines are still utilized, Google has remained dominant. How would a business get clients from Google? The ability to receive qualified leads and new clients from Google involves several important steps. It is well worth the effort and will provide a high return on investment. Keywords and phrases – As part of Google Analytics there is a keyword tool that allows you to analyze descriptions about your products or services and provide a list of keywords and phrases that would help to improve your search rankings. Also available is the ability to look at your web site content and recommend keywords and phrases to include. Insights – once you have a set of primary keywords you can leverage Google Insights to find out what time of day these words are searched most, what regions use the words, and the search terms that get the most hits. Getting clients – the keywords, insights and analysis are all focused on improving your search rankings and attracting qualified leads. When potential customers use certain search terms to look for products or services, your business will appear higher on the results list. This increases the likelihood that they will click through to your web site. 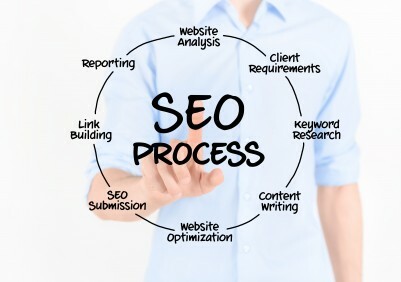 Traffic analysis – on a regular basis you should review the visitors to your website to learn how your SEO strategy is working. With Google Analytics you can discover what search engine was originally used, if any. You can see what referrals from other sites occurred. You can also get critical demographic information such as geographic location, social media data and more. Adwords – Google can also help to boost your traffic and your new clients through Adwords. This pay-per-click approach allows your web site to be displayed in a sponsored section of the search results page. To make the most out of clients from Google, work with Seldon Marketing. For more information please call us directly or click the button below and we will contact you. Thank you.